Mahanandi is a village located east of the Nallamala Hills near Nandyal, Kurnool District. Mahanandi is a beautiful temple town and the existence of the famous Mahanandishwara Temple. 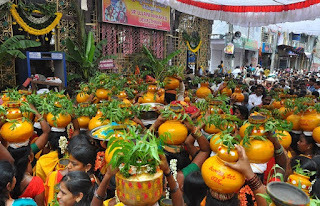 Mahanandi is one of the nine Nandis, surrounding which there are eight temple of Nandis. Maha Shivaratri is grantly celebrated in Mahanandi. Mahanandi is Lord Shiva temple. 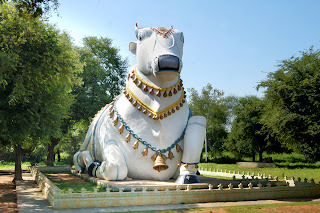 A huge Nandi is at the front of the shrine and hence temple is called Mahanandi. Mahanandi is famous for its pools with fresh water occupies sixty square feet. The water source originates at the Garbhagruha just below Swayambhu Linga. Peoples belive that the pool water has healing qualities. The pools called Vishnu Gundam and Brahma Gundam. Mahanandi is combination of nine nandis they are Prathama Nandi situated near the Nandyal railway station, Naga Nandi is inside Anjaneya temple to the west of Nandyal, Soma Nandi which lies towards the east of Nandyal near Atmakur, Surya Nandi is located four miles east of Nandyal and six miles west of Mahanandi, Vishnu Nandi also known as Krishna Nandi is located about two miles from Mahanandi, Vinayaka Nandi is situated towards northwest of the main temple, Shiva Nandi is nearly 13kms from Nandyal and Garuda Nandi lies to the west of Mahanandi temple.